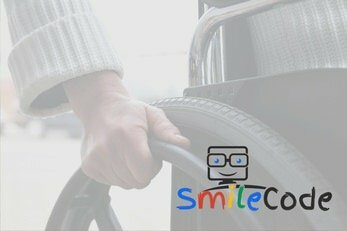 Association "SmileCode" is providing computer-related education of children, adults and persons with disabilities, through humanitarian work, the advancement and development of IT software. Free Winter School of Programming! Our associtaion, SmileCode, is a humanitarian, non-partisan, non governental, and non proffit association. We are dedicated to IT education of children and adults, through humanitarian work, as well as enhancing and developing IT related software. 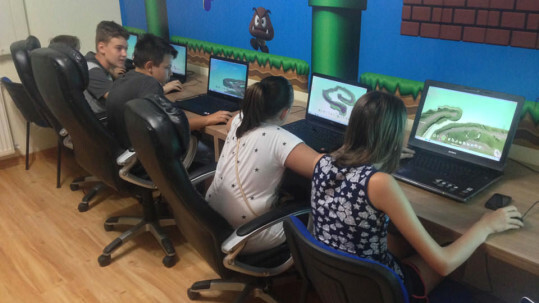 For three years, SmileCode has been organizing free one-month programming courses in Jagodina, for children aged six to fourteen years old. In accordance with our vision, we’re introducing our future engineers, programmers, designers, movie-makers and architects to the exciting world of programming, image editing, 3D modeling, video editing and web design. We live in an age of constant changes, in a time when technology permeates our daily lives and businesses. In order to adapt to the dynamic environ, we need to learn from the best, to be proactive, to be ready. Visit us at IT conference Jagodrom, and find the right answers to new business challenges. Everything about the School is great! I wish this could last forever. I've enrolled in the Smile school of programming, because I want to be a programmer. Thanks to SmileCode, our association now has its own web site. I like computers a lot, and here I've learned to make my own clips. I've enrolled in Smile school of programming, because I'd like to learn to use Photoshop, and because I would like to be a programmer. Being in this school has given me new and useful skills, in a very interesting and informative manner which I really liked, and has enabled me to work with some of the best programs for graphics, sound, video and photo editing, and programming the newest generation of LEGO robots. Everything about the school is good and interesting, and you can learn a lot.